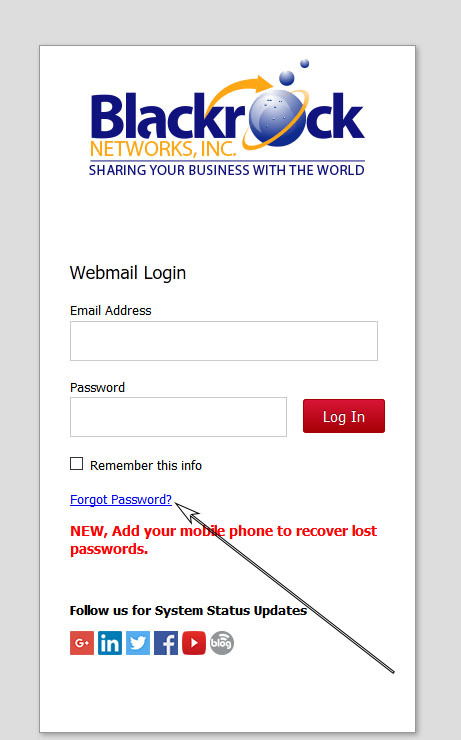 Update your Phone # to recover your password in webmail - Blackrock Networks, Inc. 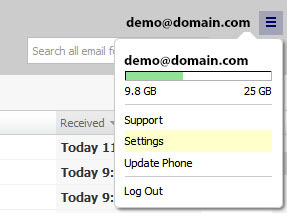 In the top-right corner, click the account’s username and then select Update Phone. Enter your phone number, and click Save. After your phone number has been updated, you will receive a six digit verification code that confirms your number. Click Verify and that's it. Next time you forget your password at the login page click forgot password, enter your email and you will be sent a new password.